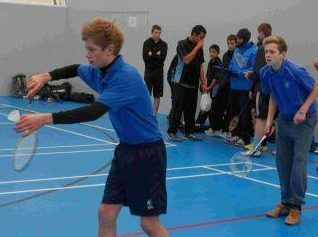 Does your child play badminton at their school? Does their school have a badminton club? Is your child competitive? Do they want to play a sport, but not sure what sport? Do they want to see how good they are? The tournament is RESTRICTED so that NO county players can enter. Purely young school players, junior club members etc. Its all about getting them some competitive experience. On the day players will be put into groups based on gender and school years, so they are on a level footing. The tournament is on Saturday 24 March 2018. It will start at 13.00, finish time will depend on the number of entries. Held at Turves Green Boys School, just out side Northfield in South Birmingham. More details can be found HERE along with an entry form. This entry was posted in Badminton News, General, Juniors Badminton, Schools Badminton and tagged All England badminton, Badminton Birmingham, Badminton England, badminton tournament, forza badminton, Junior Badminton, Schools Badminton. Bookmark the permalink.